I began using Edmodo with my students last year and have really liked the way it lets them interact as classes, turn in work, receive feedback from me on their work, join global projects and interact with other students outside of our school, and practice social networking skills. Number of Groups: In the old profile, the student is in two groups but in the new she is in three groups. She is actually in two groups and one small group. Why is this different in the two versions? I feel this should be two groups since small groups are sub-groups not actual groups but in any case shouldn’t the numbers agree? Interestingly, I asked about this issue twice in the Support Community and got two different answers about it. School Name: This didn’t show in the old profile but does now. The big problem – it’s wrong! It seems to be showing the first school alphabetically of any group my student has joined even those that are currently archived. The school shown is not a school that my student has ever attended; it’s not even a school in our state. Now, I would just remove my student from the old groups but I don’t own them so I can’t reactive them and remove my students. My student originally joined Edmodo in a group I own and logs in through a subdomain which belongs to our school. Why can’t my student show the correct school name or at least a school name of a current, active group to which they belong? Classmates: My students have been involved in some big global projects which is why they are showing over 500 classmates and a bunch of teachers. The problem here? These groups are no longer active. They can’t view the profiles of most of these classmates because they are no longer actively connected and the teachers have no access to my students at this point anymore either. Luckily, I do show as one of the teachers in the profile but I have seen some examples where I’m not even shown on the profile and I’m the only teacher that they really know. Why aren’t these connections removed if the groups are archived? They aren’t connections anymore. 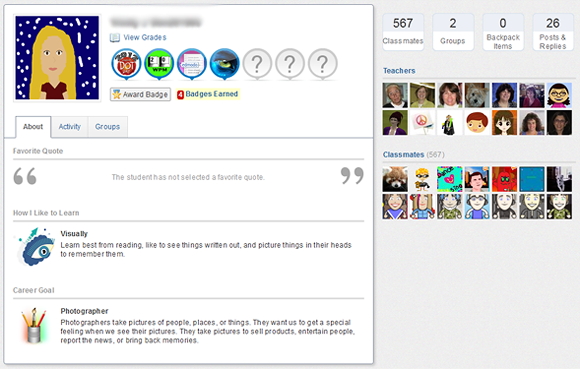 I have really liked the ability to connect with other schools or in big projects in Edmodo but may have to avoid these in the future if the school name and classmate/teacher issues can’t get fixed. I would like to have parents involved on Edmodo in the future but they won’t appreciate seeing their child being associated with a school they’ve never attended and they won’t understand 500+ classmates when their child isn’t involved in a global project. Is anyone else running into these issues? How are you handling them? 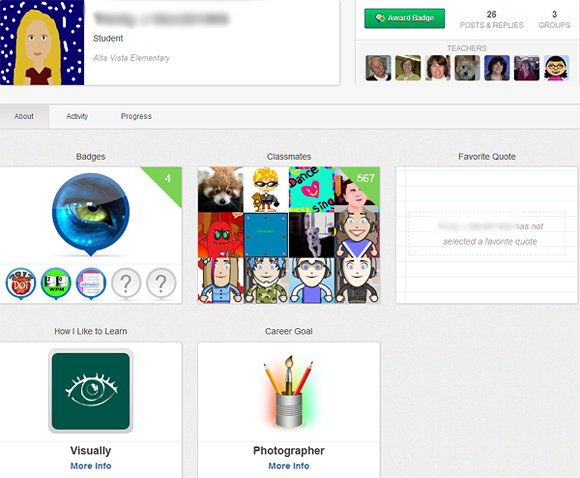 «Student Portfolio Platform Problems »Edmodo, Schoology, My Big Campus – OH MY!